Crepinettes. 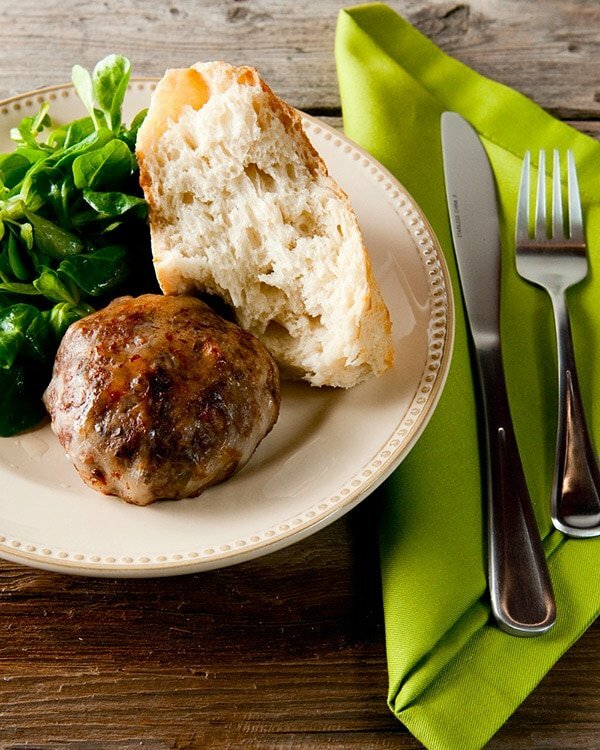 Think of them as sausage patties wrapped in a comforting blanket of fat. They are a French creation, made possible by an unusual ingredient: caul fat. Caul fat, if you’ve never heard of it, is a layer of fat that surrounds the innards of pigs, deer, cows and sheep. I’ve eaten crepinettes, called fegatelli in Italian and, weirdly, “faggots” in Britain, many times, and whenever I get caul fat I make them. That isn’t often. I don’t buy meat anymore. And while I am not morally opposed to it, why buy when you have a freezer full of game and fish? So the only time I get my hands on caul fat is when I put a big game animal on the ground. A few years ago was when I got my first chance to collect caul fat from a wild animal. I’d shot Matilda the Wild Pig and decided to gut Matilda myself. As I got the guts out of the pig, I noticed a white floppy thing come out and land on the grass. I picked it up. “Caul fat!” I shouted. My friend RJ must have thought I was insane, because I was hooting like I’d won the lottery. Ooooh… pretty. In between the strands of fat is a very thin membrane. You cannot see it in the picture, but it will encase whatever you wrap it in and protect it while it cooks. As an added bonus, most of the fat from the caul renders in the cooking, further moistening whatever’s been wrapped. It is a miraculous part of the animal. As soon as I picked up that caul fat in the grass, I knew I’d make crepinettes. 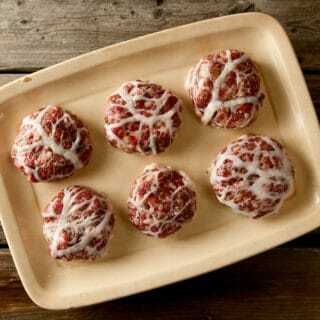 Wild boar crepinettes. And they were good. Roll your eyes back in your head good. Part of the reason is because Matilda was a young sow who had grown fat on the spring greens. Part of the reason is the caul fat. 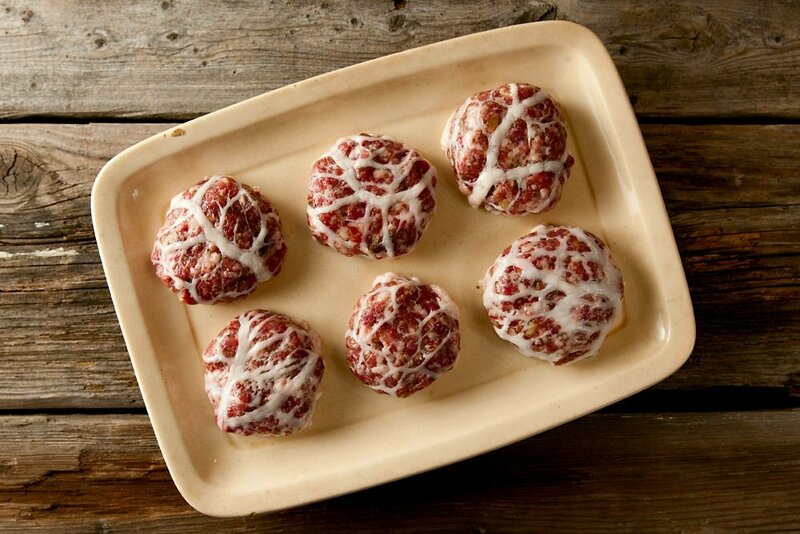 Crepinettes are essentially sausage meat wrapped in caul fat. They can be patties or logs, like a sausage link. You make the patty, set it on the caul fat, cut around the fat with a sharp knife and wrap the meat up in the caul. Always start the cooking seam side down, then flip. Voila! A perfect patty. I mostly sear things that are wrapped in caul fat, but you can also grill them or roast them, too. And you need not restrict yourself to sausage when you’re using the stuff: A super-lean meat like venison or pheasant, wrapped in a little caul fat, will be utterly different — moister, more savory — than it would be otherwise. 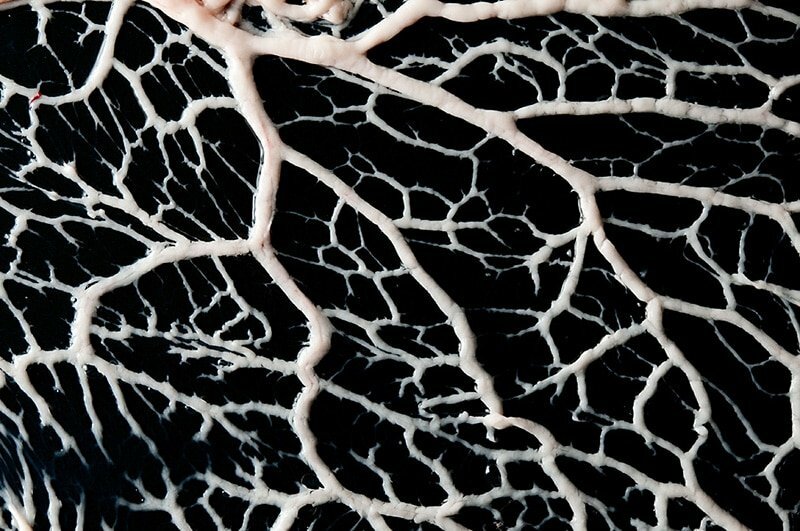 Caul fat is like an insurance policy against accidental meat dryness. And keep in mind that you don’t need to kill and gut your own pig, wild or domestic, to get your hands on caul fat. 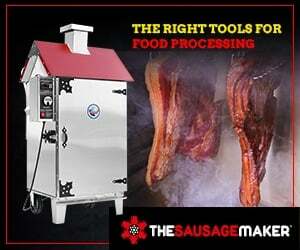 Many butcher shops will have it, although it’s usually frozen. I’ve seen halal butchers sell lamb caul fat, so even if you don’t eat pork you can still find the stuff. It’s worth the effort to find it. As for the sausage, any will do. I have dozens of sausage recipes on this site, but if you want a traditional French crepinette, that recipe is below. You will need a couple of quasi-special ingredients to make this exact recipe: quatre epices, which is a blend of white or black pepper (or both), nutmeg, cloves and ginger; and porcini powder, which you can buy online or make by grinding dried porcini in a spice grinder. Don’t sweat it if you don’t have these things. No matter what sausage recipe you use, I highly recommend that you start playing around with caul fat. It’s one of those chef’s tricks they don’t tell you about. But there, I just did. Now go find yourself some. Serve these with crusty bread and a simple salad. If you want to be really French, make it a mache salad with a dressing of walnut oil and verjus. This recipe makes a lot of crepinettes, but caul fat comes in large sheets -- and, once made, these freeze well. You can cut the recipe in half, too. Obviously you don't need wild boar here: Any decent quality domestic pork will work just fine. You can also do this with lamb, venison or turkey. Really the sky's the limit. Cut the boar or pork shoulder into cubes large enough to fit into your meat grinder. Mix the salt and all the herbs and spices in with the meat, then grind through the coarse plate on your grinder. Mix in the chestnuts (if using) by hand. If you are using pre-ground meat, mix in everything at once by hand. Put the caul fat into a bowl of lukewarm water. Gently unfold it and lay it out flat on a large work surface, like a pasta board, large cutting board or a counter or tabletop. Form the meat into small patties. Size and shape is your option: I like patties the size of breakfast sausage patties, but you could go larger if you like. Many crepinettes are torpedo-shaped, so you could go that route, too. Lay each patty on the caul fat and, using a sharp knife, cut a square of caul fat around the patty a little larger than the meat: You need it to wrap completely around the patty. It is better to have too much fat than too little. It renders away, for the most part. Set each completed crepinette on a cookie sheet, seam side down. Refrigerate for 1 hour before you cook them; this helps the crepinettes hold their shape. To cook, set the crepinettes seam side down in a large saute pan and turn the heat to medium-high. When they start to sizzle, turn the heat down to medium and let them sizzle gently for 10 minutes or so. Do not be tempted to rush this. Crepinettes are best cooked at a leisurely pace. When the seam side is nicely browned, flip and cook for another 6-8 minutes on the other side. When that side has browned, serve them up hot. You can find all sorts of recipes for wild hogs and bear here on Hunter Angler Gardener Cook! Neil: They freeze well. I’ve made a big batch before, froze them after I made them, but before I cooked them, and they were fine.